BERC report: ‘Vibrant’ state h..
MTSU hosts annual Dairy Hill S..
A band that blends a variety of cultural influences with a modern twist will perform at MTSU Friday, Sept. 22. PANGEA, a contemporary world music trio of composers from different backgrounds, will bring its unique sound to campus in a free public concert at 8 p.m. Sept. 22 at Hinton Music Hall in the Wright Music Building. A printable campus parking map is available at http://tinyurl.com/MTSUParkingMap. The band is the official envoy of cultural exchange between China and the United States for the Federation of Returned Overseas Chinese of Suzhou. The Hollywood Music Awards nominated Pangea’s latest album, “Timeless,” for Best World Album of the Year in 2016. Musician Hong Wang, whose talent extends to more than 20 instruments, performed music for more than 80 episodes of “Kung Fu Panda,” an animated television series based on the Dreamworks Animation feature film. He studied oboe and composition in China before moving to the United States. Flamenco guitarist Erkin Abdulla studied music composition at the Central Conservatory of Music in Beijing. Abdulla, a Muslim native of Xinjiang, China, combines flamenco with classical Sufi music. Albert Chang, who was born in Taiwan, began studying piano and violin at age 3. Since moving to the United States, he has earned music degrees from the University of Southern California and the University of California-Los Angeles. You can get a preview of PANGEA’s music in the video below. 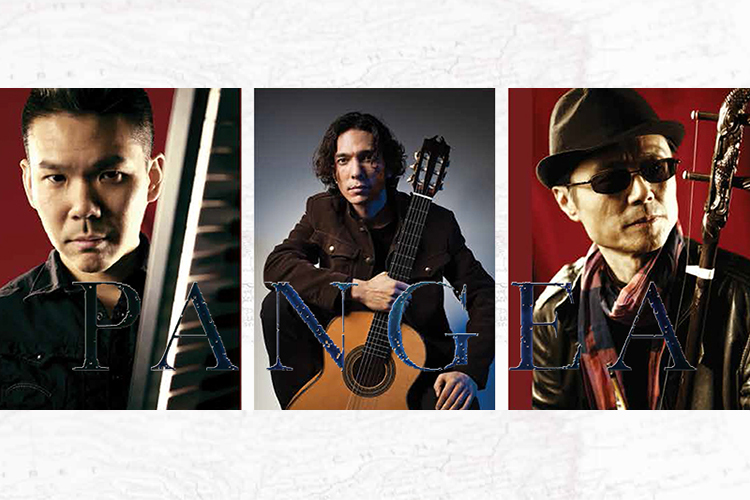 The PANGEA concert is sponsored by MTSU’s Center for Chinese Music and Culture. For more information, contact Dr. Mei Han, center director, at 615-898-5718 or mei.han@mtsu.edu.